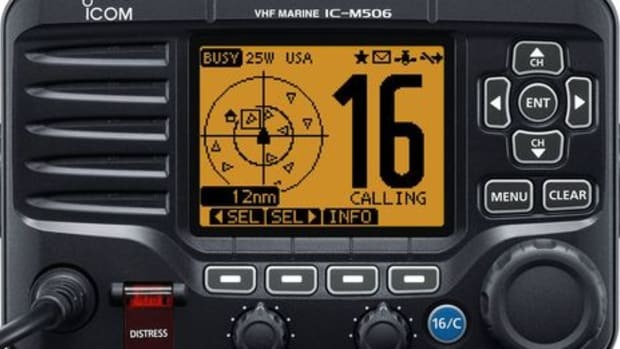 It's good news that Icom has upgraded two of its fixed VHF radio models to include internal GPS sensors, so they will be ready to make DSC distress calls almost the moment power and antenna are attached. I&apos;m visiting Gizmo in less chilly North Carolina for a week (before TrawlerFest) and was reminded that just before leaving in November, I experienced the first DSC Urgency message I&apos;d ever seen. My reaction was slightly embarassing, but the U.S. Coast Guard response was impressive, as will be detailed below. 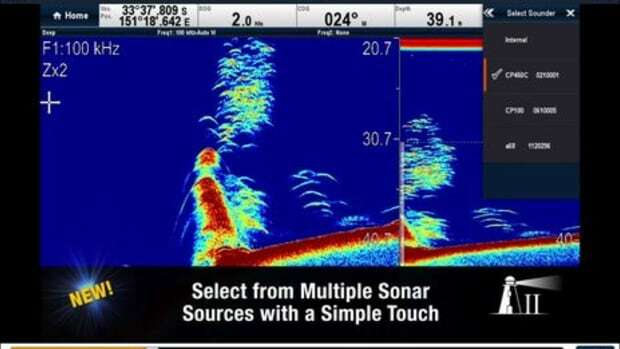 For now, let&apos;s just say that DSC is a potentially excellent but underused safety tool and thus, it&apos;s good news that Icom has upgraded two of its fixed VHF radio models to include internal GPS sensors, so they will be ready to make DSC distress calls almost the moment power and antenna are attached. 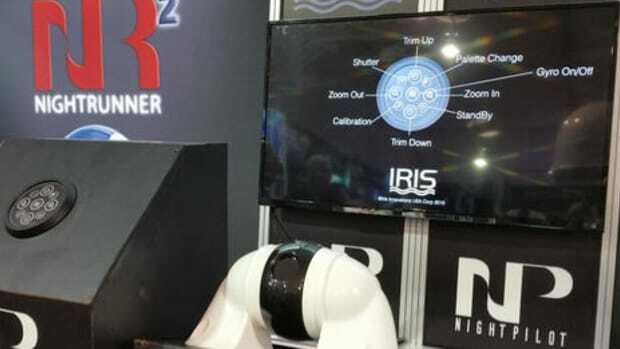 At the London Boat Show last week Icom UK introduced the IC-M423G above, which features a "striking new white backlight LCD" as will the M424G U.S. version. Icom Japan has details of the IC-M424G which will likely soon appear at Icom America. 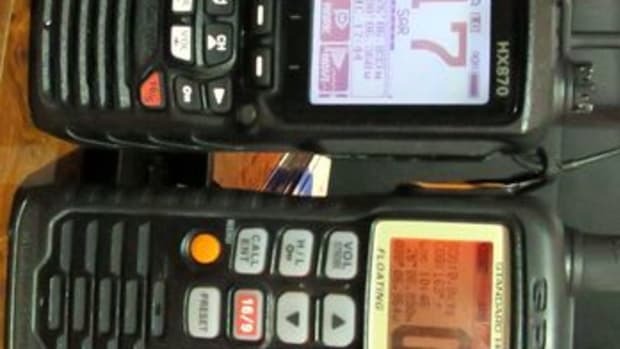 (I think that weather alerts are the only substantial difference between American VHF radios and the ones built for the rest of the world, but maybe a reader can fill us in.) As seen above, there will also be a new M-195G Commandmic IV with a matching white backlit LCD (and either a black or white casing). 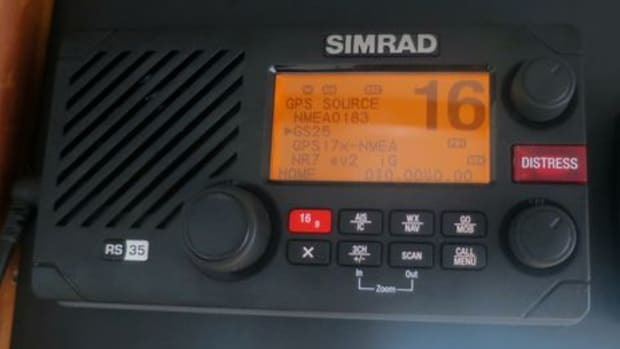 Given the advent of the premium M506 AIS/VHF, I was hoping to see more NMEA 2000 radios from Icom because they can integrate nicely with multi-function displays and external GPS. But having an internal GPS like Standard Horizon trail blazed is also a good thing. Then you have DSC distress and other features available even if the rest of your nav system and N2K network are shut down. 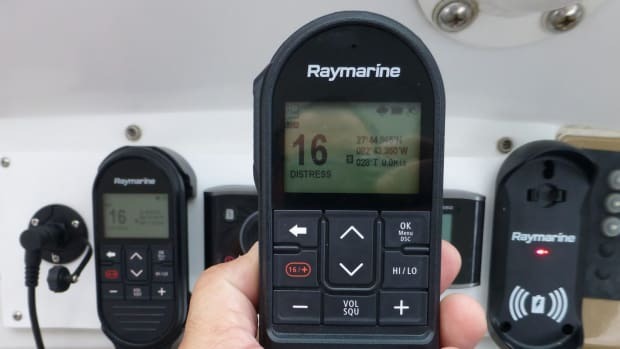 Note that the new Raymarine Ray70 has it all -- N2K, AIS, and internal GPS -- which is a first, I think, and one I hope to see in action next month at the Miami show. 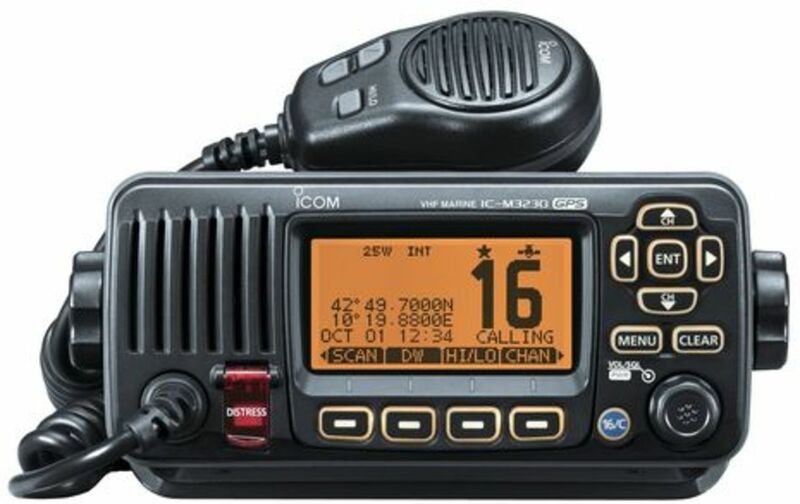 Then again, the new Icom M324G "value" VHF -- which looks just like the European M323G above -- is apt to go on boats with more modest systems and perhaps no NMEA 2000 at all. 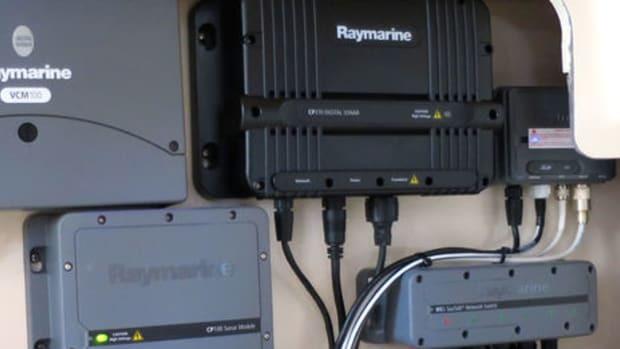 So, having the internal GPS saves having to do the NMEA 0183 connection that seems so often undone or failed. 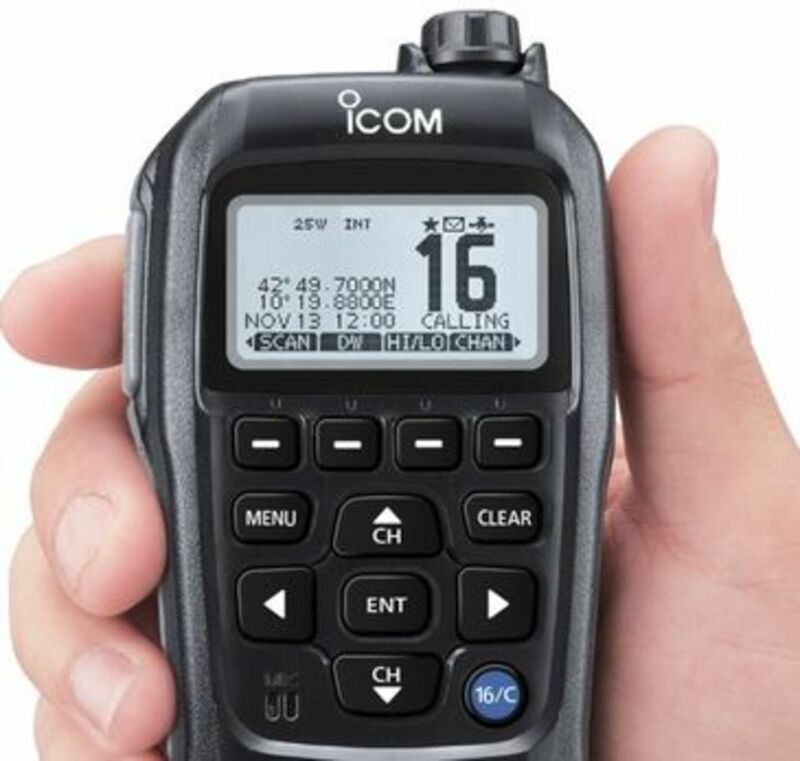 I haven&apos;t seen prices for these new Icom models yet, but at least here in the U.S. we&apos;ll probably have to wait for the FCC approval. 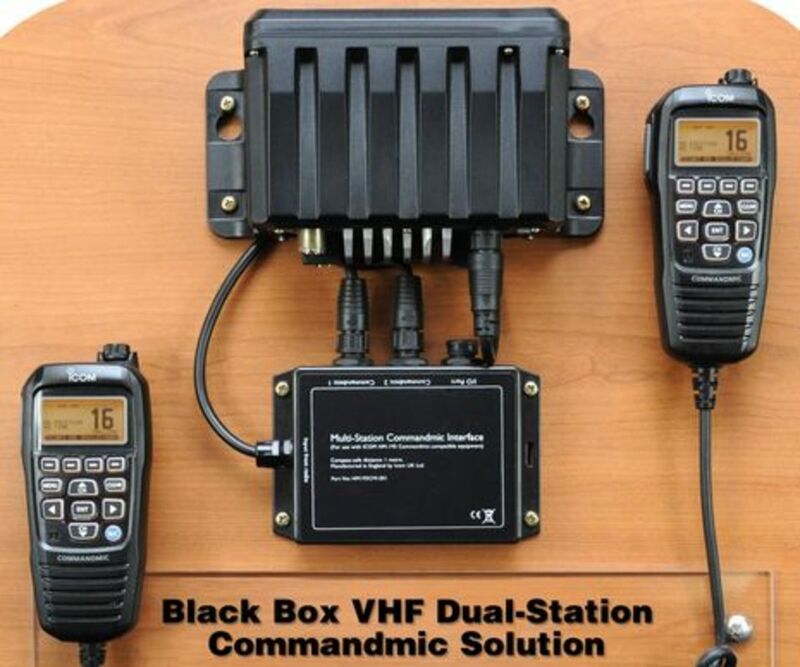 In the meantime, at Icom UK I noticed the interesting Black Box Dual Commandmic Solution below. 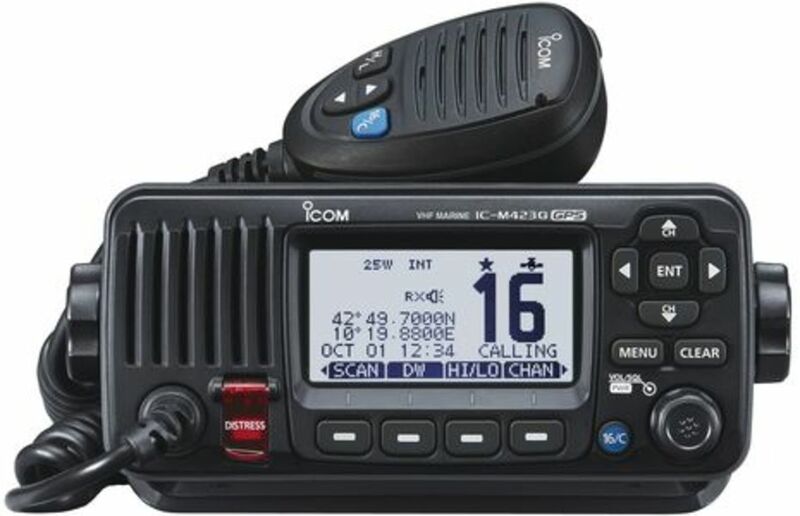 It probably works with the M400BB Black Box VHF sold here, but it&apos;s an Icom UK product. 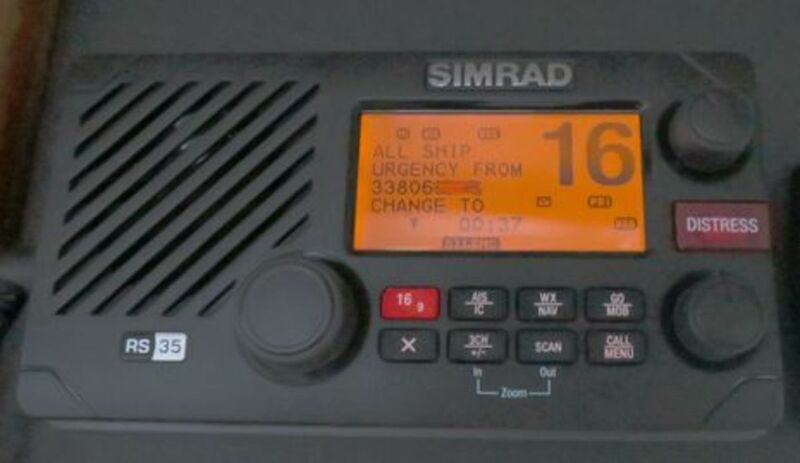 Now here&apos;s what happened when the Simrad RS35 I&apos;m testing emitted a loud DSC All Ship Urgency alarm one quiet day at the (truly excellent and affordable) Bridgepoint Marina. I switched and listened to Channel 16 as suggested by the radio, and after a period of silence, I even called out on 16 to see if anyone was really in trouble. However, the only response I got was from a somewhat distant Coast Guard station that had heard my call but not the DSC alert. 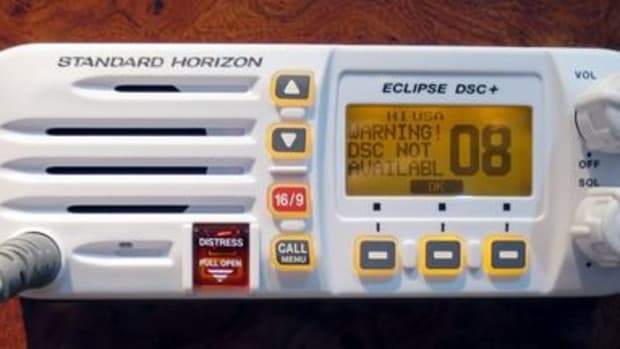 I misinformed them about what I&apos;d seen on my radio (which did not include a GPS position), because it was only when I later looked at the photo below that I realized it was actually an Urgency call and not the higher level Distress call. So there&apos;s an embarrassing example of how inexperienced most of us are with DSC, I think. But that&apos;s not the end of the story. 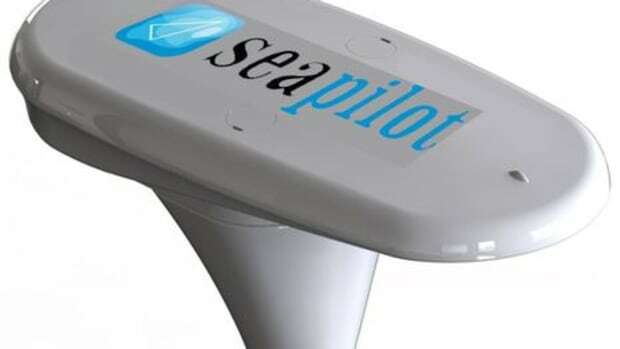 That evening in the marina laundry room a woman described the strange experience she and her husband had had that day while uninstalling a VHF on their recently purchased boat. The USCG had called to inquire about their safety after tracking the MMSI number I obscured below to the original owner and then through the broker to this couple who didn&apos;t even realize they&apos;d accidentally fired off an alert! So I was embarrassed again and apologetic, but also very impressed that the Coast Guard had gone to such trouble. Image how well they&apos;d respond if you have a DSC VHF with GPS input properly installed and you push the red button under that protective Distress door for a few seconds, especially now that Rescue 21 is fully operational for nearly 42,000 miles of U.S. coastline.